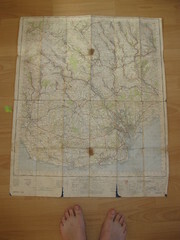 Sometime soon I need to check which maps I already have and fill in the gaps. 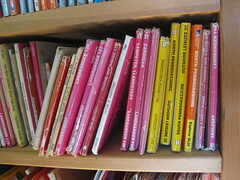 My OS maps are ordered on my shelves roughly by region, and the Welsh maps sit together in a few geographic groups. 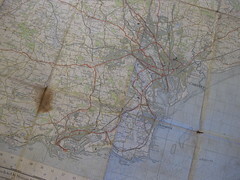 Only then I spot, in the middle of a shelf, after the last of the Welsh maps give way to Stafford and the Peak District, just beyond the Isle of Man, an old, cloth map, stained by age, the cover long lost, and only a tattered bleached red remnant, suggests it is of the old one inch OS series. 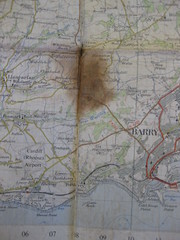 Opening it up, I find it is of Cardiff and Glamorgan, the valleys black spider webs of railways before Beeching, a dark brown stain (water or campfire? odd that the two are indistinguishable with age) obliterates an area north of Barry Island. My eye and finger trace old places walked, one day up beyond Caerphilly, rain-soaked amongst the coal tips; and places of childhood, Dynas Powis for the Whitsun sports, Ogmore for the dunes. Some I’ll pass through again in a few months, others who knows? But the map, a thing of magic, sometimes taking you away in your imaginations to places you have never seen, and sometimes back into your past. I’m going to put up a page with the rough itinerary, but need to estimate approximately how long it will take to get to each part of the coast. The Coast Path web site has downloadable brochures for each segment of the path, which give the length of each part. 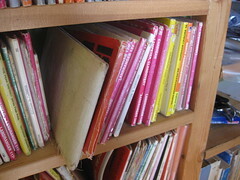 However, (i) some of these are a little vague, and (ii) the brochures are long and thin so hard to print out to read. I will address these sometime, but for now, simply traced round the coastline from a 1:625,000 road map1. It took a while, but I did it while listening to Stef Lewandowski and Lucy Conway from EiggBox on AmbITion Scotland webcast from Shetland, which was great. 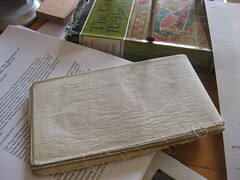 I found it fascinating how long, and how short, some sections were. The entire north coast from near Chester to the Menai Bridge was only just over half a paper strip long, whereas going round Anglesey, which doesn’t look that far, was nearly whole strip (one strip approx. 120 miles or 7 days walking). This is a combination of the fact that circumferences are bigger than you think (recall pi x diameter) and the fact that Anglesey has a ‘rougher’ outline (more coves and headlands) than along the north coast. 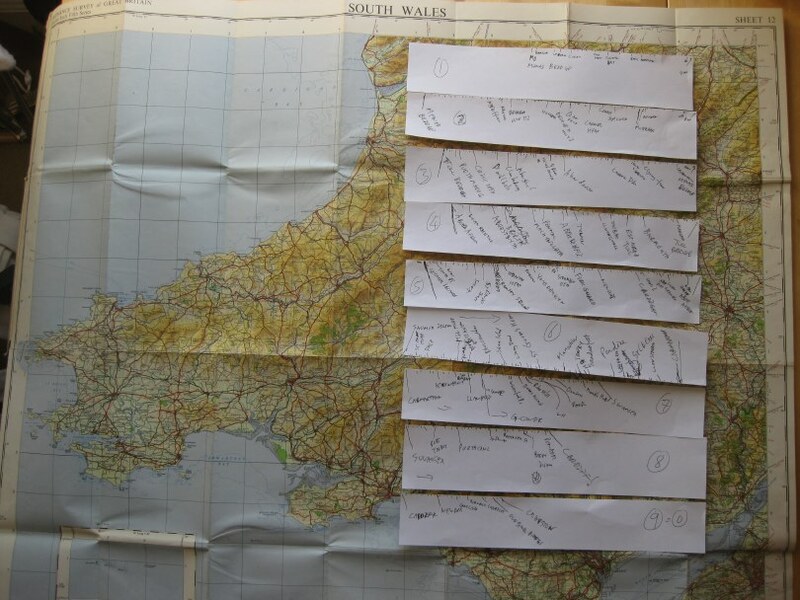 It will be interesting when I add up the lengths to see how they compare with the official 870 miles of coast2, tracing on a map rounds off all the little bumps and bends, so I’ll get some idea of just how fractal the Welsh coast is!